Pakistan has done Successful Test of Two New Ballistic Missiles known as Hatf 3 Gaznavi and Shaheen 1 today morning. Both the missiles are capable of taking nuclear Warheads with themselves. 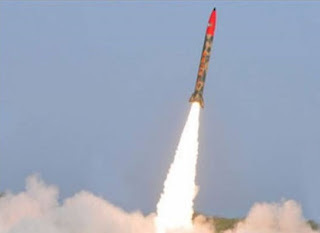 Range of Hatf 3 Gaznavi is 290 kilometers while Shaheen 1 is having range of 650 kilometers. Prime Minister Yousaf Raza Geelani and Joint Chief of Staff General Tariq Majeed where also present at the spot. Prime Minister Congratulated on the Successful Test of both the Missiles. Pakistan if far ahead than India in Missile technology and having effective high range Ballistic Missiles.